To reduce the risk of overheating skin or freeze burn, use the Relief Hot and Cold Pack Adjustable Cover as a protective layer over your instant or reusable treatment packs. 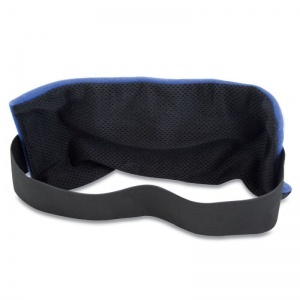 An essential add on for the Hot and Cold packs, it provides you with an adjustable band for added comfort while treating muscular discomfort and sports injuries. Why Should You Cover Hot and Cold Packs? Hot and cold packs have been used for many years to treat ailments such as scrapes, bruises, burns, muscle aches, period pains, headaches, sprains and strains, to name a few. However, it is important not to apply these packs directly onto the skin as it increases the chances of heat or ice burns, and therefore makes injuries worse. The Adjustable Cover has a secure Velcro fastening which makes it easy to position around any part of the body, such as the arms, legs, torso or joints, for added comfort while treating an injury. 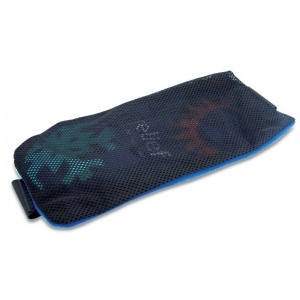 It can be used with both the Relief Reusable Hot and Cold Pack or Relief Disposable Instant Ice Pack. It provides effective protection from freeze burns or overheating the skin's surface when applying hot/cold treatments and is a great add-on essential, particularly for sports first aid kits. Please note that this item does not include a Hot/Cold pack, and any heat treatment or ice packs must be purchased separately. 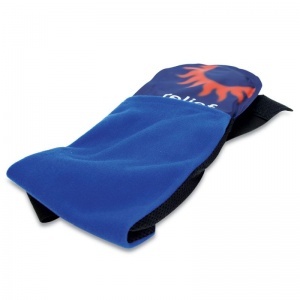 The Relief Hot and Cold Pack Adjustable Cover is usually dispatched via First Class Royal Mail and delivery should be within 1 to 3 working days.